FinTech has been one of the hottest startup themes in the last three years and CyberSecurity is one of the top industries angels and VCs are betting on for 2017. The reality is that there is no FinTech without CyberSecurity and this led Startupbootcamp to launch for the first time a FinTech & CyberSecurity accelerator program, which is currently taking place in Amsterdam. 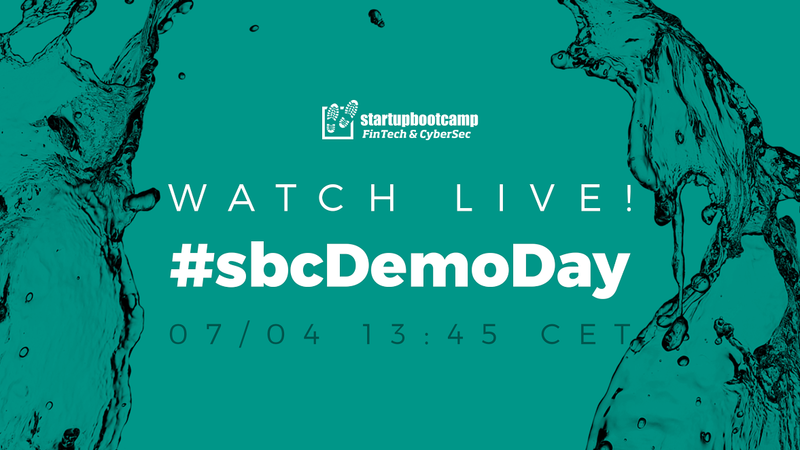 We invite you to join us at #sbcDemoDay this April 7th in Amsterdam. FinTech & CyberSecurity program included a number of firsts, such as the presence of a scale up that is already integrated with a dutch company to offer their solution to a Norwegian Bank; solutions for millennials by millennials – helping them achieve their dreams in different ways; the first aggregator of P2P crowdfunding platforms in Europe or the first bitcoin fund to decrease the risk associated with trading in bitcoins. Expect an unforgettable show fueled with potential and drive. Bank-independent personal finance assistant. Automate your money and be free. Budgently is an app that helps millennials handle their money, it makes it desirable to manage personal finances, and you know exactly how much money you can safely spend. You may think that it’s convenient to put all your private data in the cloud and that it’s secure. But it’s really not. Encedo makes privacy private again. It provides encryption as a service (EaaS) to protect any kind of data on any device, website or cloud supported by hardware. Book your flights through social networks & easily spread the cost into monthly payments with Flymble – the travel hub of the mobile generation. Flymble make travel easy, accessible and affordable. A simplified, cost-effective pre-paid value, remittance and financial services delivery platform, with a focus on the African market. Their turnkey white-label mobile POS App enables Service point operators, Financial institutions, and E-money operators to cost effectively build and scale agent or retail merchant networks. An investment fund focusing on P2P financing. Using a data-driven approach, Milestone provides tools for investors to understand, execute and manage marketplace lending investments. They are currently raising funding via Leapfunder. Enjoy more free time thanks to POM – the trusted app for payment and archiving of all of your invoices in a quick and secure way. No need to postpone, and no more reminder costs. POM stands for Peace of Mind, and that’s exactly what they bring. Also, they’ve seen enormous traction since being in the program. With Schluss, you – and only you – decide who gets which information about you on the Internet. This social impact cyber security & privacy startup can help companies with PSD2 and GDPR. All the information you share through Schluss, can never be copied, transferred or resold. SeedWise.Capital, fund for secure digital currency investments. This is a first bitcoin fund to decrease the risk associated with trading in bitcoins. Investing made easy with the Limitless app – helping financial institutions engage millennials with micro investments. With Spendolater, everyone can be an investor. A technological solution that brings insurance intermediaries into the digital era, offering them a smart back-office system, web sales, and mobile app. Virtual broker delivers the digital future of insurance brokers. Wolfway unveils unique investment opportunities by analyzing market dynamics based on investor behaviour. iProov delivers secure online authentication using effortless face matching, uniquely protected from spoof, replay and hacking attacks by patented One Time Biometric technology. 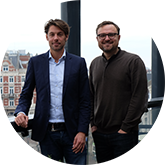 It’s a scale up already integrated with a dutch company InnoValor to offer their solution to a Norwegian Bank. Watch the Demo Day live and join us for all the startup stories.